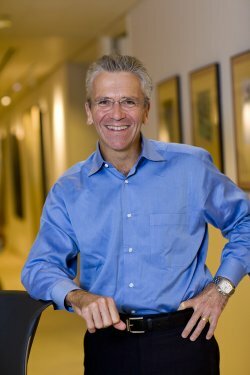 Michael J. Silverstein is a leader of The Boston Consulting Group’s global consumer practice. He specializes in helping the senior team at large multinationals transform their companies through superior consumer insight, accelerated organic growth, and M&A. His clients include some of the world’s largest and most prominent consumer goods companies and retailers. He is a frequently cited expert on consumer buying behavior, retail and packaged goods innovation, and market development. Michael is also one of BCG’s most prolific authors. In addition, Michael is the author of two Harvard Business Review articles and more than 30 BCG publications. He has been interviewed often on the national TV programs of CNBC, ABC, CBS, NBC, and Fox News. He also has been quoted extensively in leading publications such as The Wall Street Journal, The New York Times, The Times of London, the Financial Times, The Economist, The New Yorker, Time, Newsweek, and The Washington Post, among many others. He holds an MBA with honors from Harvard University and a BA in economics and history from Brown University. Morris: Before discussing Rocket, a few general questions. First, who has had the greatest influence on your personal growth? How so? Silverstein: My wife, Silvia. She has reinforced the view that pursuing my personal dreams is number one priority. We travel a great deal together. Silverstein: Working at The Boston Consulting Group has been a gift. I arrived at age 24 with energy and focus. I’m still at BCG at age 60 with energy and focus plus experience, skill, and some elements of wisdom. Silverstein: My breakthrough happened when I decided to concentrate 100 percent of my professional energy on consumer products and retail businesses. Domain expertise has allowed me to provide clients insights. Silverstein: I studied history at Brown and was editor in chief of the Brown Daily Herald. This has given me two skills: writing fast and taking a long view on events. I tell stories to clients about opportunities. The narrative allows uptake and drives action. My MBA at Harvard was the setup for meeting Boston Consulting Group. Silverstein: My favorite film of all time is High Noon. It is a story about loyalty, drama, and love. I have always believed the three emotions are needed in business. Business operators that really deeply care about their employees and consumers deliver the right response every day. Silverstein: A wonderful set of thoughts. Original research starts all inspiration. Get inside the head of the consumer. Understand their needs, hopes and dreams. Deliver to their expectation. Have your team do the work. They will then have the framework for the solution. If they believe and they understand, the results will be their results. Curiosity is the most important ingredient. We also believe curiosity is the greatest source of ideas, retail revolutions, and insights. A curious mind armed with skill, experience, knowledge, and patterns can give birth to big brand revolution. A curious mind does not say to consumers “What do you want?” A curious mind understands context, understands behavior, understands spending and spending patterns—the accumulation of a day’s purchases, or spending over a week or a year. A curious mind asks the questions that open up the consumer to talk about her latent dissatisfactions, hopes, wishes, and dreams. A curious mind knows that functional goods sold en masse earn a good return but breakthrough profits come from satisfying emotional needs. A curious mind does not jump to conclusions but tests carefully and thoroughly. A curious mind will draw on all of life’s experience to get to the big “uh huh.” The curious cut the data by quintile, by segment, and by user. Silverstein: All companies have many opportunities. Strategy is about allocation of resources and priorities. Companies that get in trouble have a failure to see two realities: market trends and competitor attacks. You need to have sufficient resources against your priorities. Your eyes have to be open every day. The choices we make define our future. Failure to make the tough but ne4cessary choices means slow painful death. Silverstein: I believe in classic ideas. They are timeless. They are forever. There are many fads in management. The truth is that business is simple: create great products, merchandise them at the point of sale, continuously innovate and surprise, reward and achieve a position of loyalty with your front line, and seek new truth from the market. Deliver the goods at a competitive cost. Price to earn a decent but not competitively inviting return. Not much else matters. Silverstein: We have found at BCG that our most exciting discoveries come from studying anomalies. The once-in-1000 occurrence is worth getting detail on. For me, it’s often about consumption behavior. I focus my energy on understanding the heavy user. They are “odd” but hold opportunity. I ask: how do they use the product, what motivates them, how can we clone them. Silverstein: A lot of people believe you only need a vision. This is simply not correct. You need brilliant execution every day. It’s about attention to all the details of go to market. Of course, Edison is correct. He did not follow this principle very well. He invented at a prodigious rate but failed to fully capitalize. His prolific output created many major markets that others capitalized on. There is a big lesson here. Follow through. Silverstein: Another great quote. Many companies routinely do things that are not important. They fail to prioritize. They get involved with details that don’t matter. Periodically it’s important to apply the principles of “Smart Simplicity.” This is the book written by my partner Yves Morieux. You can get his Ted Talk on the topic. It is totally brilliant. You can check it out here. Silverstein: No question that this is true. People need to be inspired. They need to hear and believe a story. If you want them to ber self-motivated, you need to engage them. My best clients tell stories that inspire. They tell stories about situations that you can identify with. One of the most important talks I ever heard was by John Clarkeson, the former CEO of BCG. He told our partners about the smoke jumpers failure to connect, their failure to know each other, and their resulting deaths in a tragic accident. Clarkeson’s talk was based on Norman Maclean’s class “Young Men and Fire.” You can be sure we walked out of that meeting ready to take on the world together as partners. We were fewer than a 100 partners at that time. BCG now has 1000 partners. And we have the firmwide connections that suppirt us, that make us strong, and allow us to trust each other and to take on any challenge. Silverstein: Truth is so difficult to hear about. It must be experienced. I like to take CEOs into consumers’ homes to see the “real world.” CEOs have privileged lives with big incomes, lots of help, access to just about any7thing they wish. The average consumer lives on $53,000 a year and has daily tradeoffs and compromises that must be made. I took a CEO into a trailer park so he could observe first-hand — and understand — how consumers use his product. We watched from the trailer bench as a consumer used his product. We realized that the key is consistent performance. Keeping promises, if you will. Based on what we learned during that field trip, we created new products, new distribution, new growth. You can never formulate this combination is a vacuum, far removed from the customer’s world. I believe people really can be inspired to be self-motivated. You need to figure out what activates them. What helps them see truth and embrace it. So, get out of the office. Roam the frontline. Be observant. Hold your people accountable for creating the new narrative, a new story, in which your customers are the most important “characters”..because, you know, they really are. The solution is all about orchestration. The most effective CEOs have a primary source for tracking their markets. They meet with their teams frequently enough to keep innovation flowing, to reduce and focus costs, to be energized. They create a tight agenda and they set high goals. Time is a big enemy. Companies have a tendency to drift and to do what was successful yesterday. CEOs need to set a high goal, enforce a time-based output scheme and stay connected all the way down in their organization. They have to do this sincerely every day, everywhere.